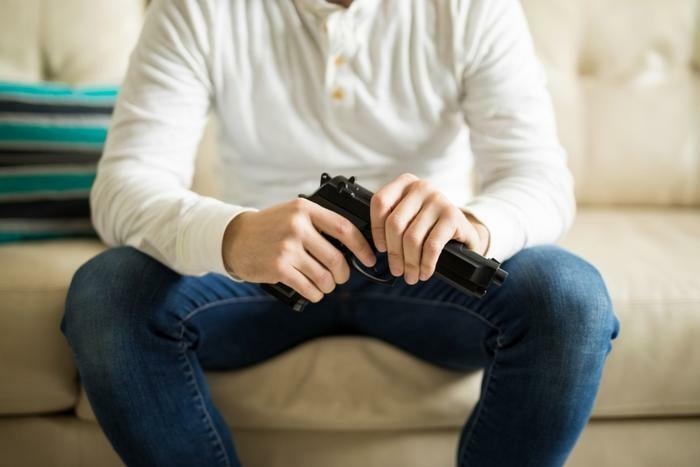 The researchers were looking to break down suicide rates by state and see the way gun ownership in the home affects the likelihood of young people committing suicide. The team analyzed data from the Behavioral Risk Factor Surveillance System (BRFSS) to determine how many households per state had guns. They also consulted the Centers for Disease Control and Prevention (CDC) to track the number of youth suicides from 2005 through 2015 and the Youth Risk Behavior Surveillance System (YRBSS) by state to account for any potential variables, including education, poverty, depression, substance abuse associated with suicide, suicide planning, or suicide attempts. The researchers found that states that had higher gun ownership were also associated with higher gun-related youth suicides; however, they also found that higher gun ownership is contributing to higher youth suicides overall. For the 10 states with the lowest youth suicide rates, gun ownership in the home was at around 20 percent, whereas in the 10 states with the highest youth suicide rates, gun ownership in the home was over 52 percent. While guns are just one factor contributing to youth suicides, recent research has found that there is certainly more to it. A recent study found that suicide rates among young women are at an all-time high, which could be because of societal pressures to always feel perfect. Researchers found that between the demands of performing well in school and portraying life perfectly on social media, comparison to others often leaves young women feeling inadequate, which can lead to suicide. Additionally, a study from late last year found that lack of sleep can contribute to a higher chance of teens engaging in risky behaviors, including substance abuse, drinking and driving, and suicide.